When it’s fall season it’s also… pumpkin season #YesPlease ! You can use the pumpkin puree to make these delicious pumpkin muffins. 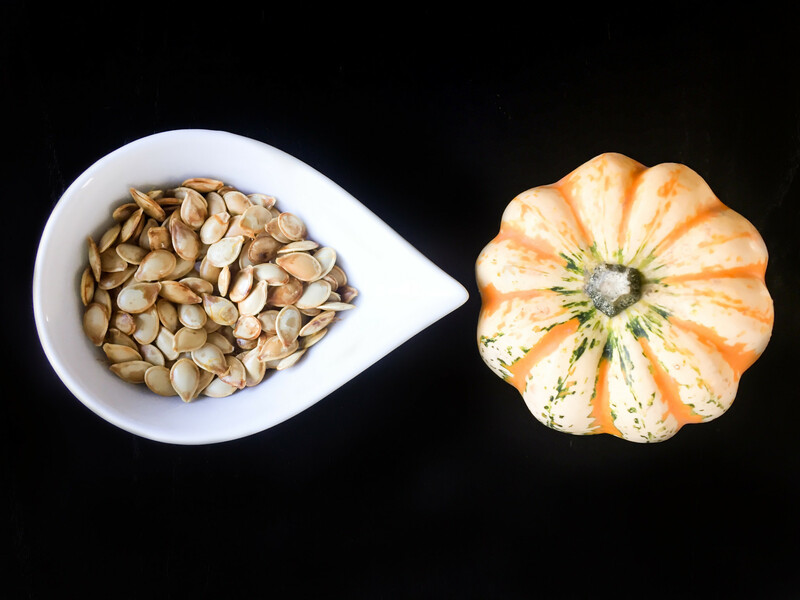 This recipe of fleur de sel roasted pumpkin seeds makes the perfect healthy afternoon snack. Rinse and dry the pumpkin seeds. In a bowl, add the seeds, the fleur de sel and the olive oil. Mix until well combined. On a baking sheet, spread the pumpkin seed and bake for about 45 minutes or until the seeds are golden brown. Let the pumpkin seeds cool down and enjoy! The pumpkin seeds can be preserved for many days in a sealed container.